When you stay at Emerald Isle Motel in Hampton, you'll be near the beach, within a 5-minute drive of Seacoast Fire Museum and Tuck Museum. Featured amenities include complimentary newspapers in the lobby and a 24-hour front desk. Free self parking is available onsite. When you a stay at Marguerite Motel in Hampton, you'll be near the beach, within a 5-minute walk of Blue Ocean Discovery Center and Ocean Gaming Casino. Free self parking is available onsite. 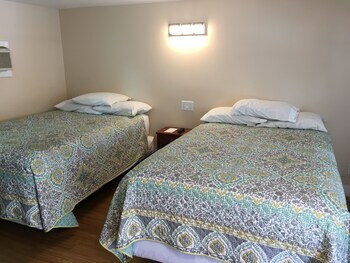 When you a stay at The Pelham Resort Motel in Hampton, you'll be on the beach, within a 5-minute walk of Blue Ocean Discovery Center and Hampton Beach. Free self parking is available onsite. Located in Hampton, Hampton Harbor Motel is by the ocean, within a 5-minute walk of Hampton Beach State Park and Hampton Beach. Free self parking is available onsite.